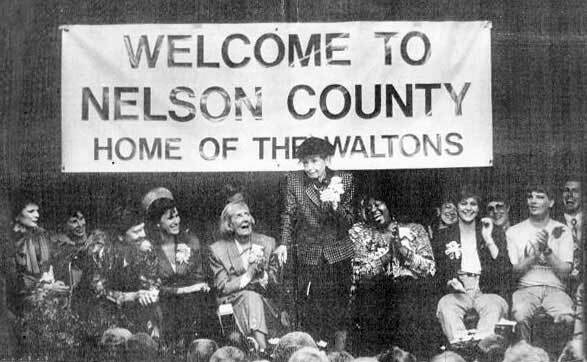 Over the past few decades a number of important milestones and reunions have happened to celebrate the show that is The Waltons. home town of Schuyler, Virginia. It was the first time the town had seen a traffic jam! 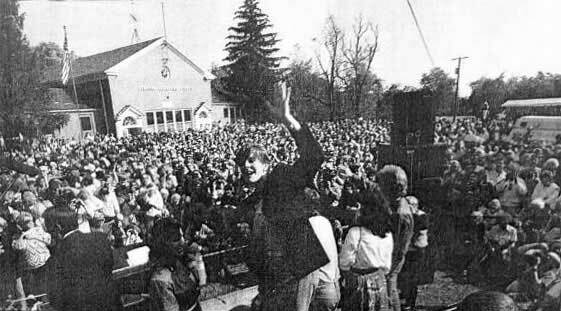 Mary Beth McDonough who played Erin on the TV series "The Waltons" waves during a ceremony Saturday for the opening of the Walton's Mountain Museum in Schuyler, Va. Thousands of "Waltons" fans gathered to see and listen to the stars of the show as well as the family on which the series was based. Helen Kleeb, center, talks at the opening of the Walton's Mountain Museum about her role as Mamie Baldwin. From left are Ronnie Claire Edwards who played Cora Beth Godsey; Joe Conley (Ike Godsey); Judy Norton (Mary Ellen); Mary Jackson (Emily Baldwin); Lynn Hamilton (Verdie Grant); Mary Beth McDonough (Erin); and David Harper (Jim-Bob). In 1993 the cast came together after a 10 year hiatus to film a new special, the first of 3 in the 90's. 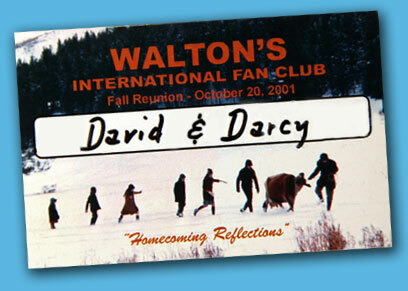 In 2001, the 30th anniversary of "The Homecoming" brought out most of the children cast members. In 2007, Lester Holt from The Today show talked to the cast to see where they all where 35 years after the show premiered. See the related article on the Today show website. In October of 2010 to celebrate the new broadcast of the show on their network, INSP aired a reunion special with Earl Hamner and all the living family cast members including Richard Thomas who appeared via remote camera. In 2011, the 40th anniversary of "The Homecoming" was a significant event with many members of the cast on stage together in New Jersey. Read a review of this event here. live on The Today Show. Another 40th Anniversary event was held at the Wilshire Ebell Theater on Saturday September 29th, 2012 that benefitted the Environmental Charter Middle School where Kami Cotler "Elizabeth Walton" serves as Principal. Watch Kami promote the event here. On September 4th 2013 the surviving family cast members reunited for Entertainment Weekly Magazine's Special Reunions issue. Read the article and see the photos here. about the get together as well.